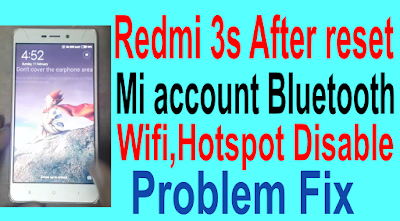 Redmi 3s After reset Mi account Bluetooth,Wifi,Hotspot Disable Problem Fix. 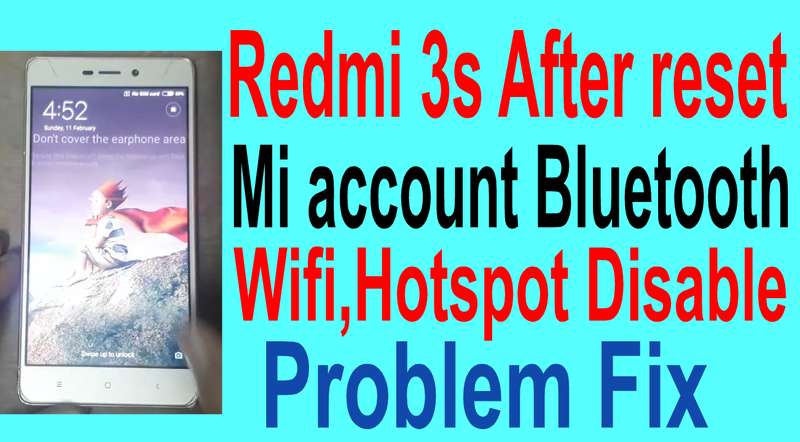 Redmi 3s Bluetooth,Wifi,Hotspot Disable Fix Required File. 1# Download Redmi 3s Firmware file. 2# Download Mi Flash Tool. Redmi 3s Bluetooth,Wifi,Hotspot Disable Fix Method. 4# Open Your Phone on edl mode like pic. 5# Select file on tool. 6# Now click Refresh tab. 7# Agan click flash tab. 8# Now your phone flashing process. 9# Your phone flashing complite.